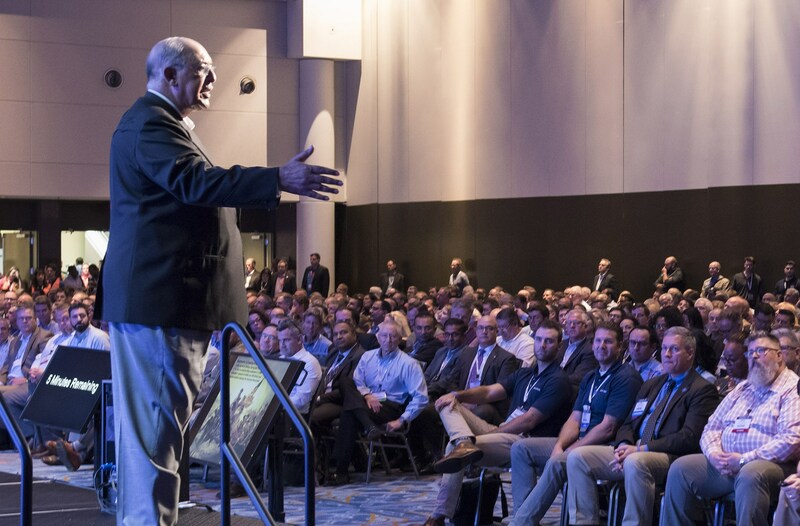 Lt. Gen. Russel Honore delivered the opening keynote at the 2018 Design-Build Conference & Expo. We know DBIA conferences are great events for design-builders to learn what’s new in the industry and network with their peers, but of course, we acknowledge we may be just a bit biased. That’s why it’s really terrific to see an attendee offer their own views on what DBIA conference sessions have to offer, which is what Henderson Engineers did in a recent blog post. Read on to see the Henderson team’s five design-build takeaways from the 2018 Design-Build Conference & Expo. There must be an enhanced focus on performance-based design as opposed to prescriptive design. Each building and project is unique. Instead of focusing on a prescriptive design process that just checks off all the code compliant items, the industry is trending toward performance-based design. This allows design-build teams to be more innovative and collaborative and pushes the entire team to think outside the box to meet the needs of the project. In the end, the completed building will be far better than a prescriptive design structure would have allowed for. Not to mention the potentials savings in construction, material, and redesign efforts. Design-build is a delivery method that is continuing to grow. According to a recent FMI market study, “design-build construction spending is anticipated to account for $1.19 trillion over the 2018 – 2021 forecast period.” This growth points to the efficiency this delivery method can bring to a project. As the designer and contractor work together from the beginning, collaboration promotes efficiency, creativity, and ultimately saves money. The success of design-build is highly dependent upon the team selection. A cohesive team with open communication lines can work with the owner, earlier in the process, to help align the vision and project expectations with the available budget. With all contracts under one entity, a cohesive, highly collaborative team are all working toward the same end goal of delivering the owner the product they want. The West Coast is moving toward design-build faster than the rest of the nation. The pacific and mountain regions are poised to see the highest growth in design-build project delivery. The pool of sub-consultants offering any given service needed for a project is generally larger on the West Coast. Engineering firms and sub-contractors should start forming relationships with West Coast entities in preparation of design-build efforts spreading across the US. School systems favor design-build project delivery for time and cost savings. Often with education design, projects are funded with public dollars. Therefore, it’s even more important to save time and money bringing a project to life. With design-build, the process is compressed, blurring the lines between design and construction. As design and constructability are evaluated with the entire team involved, requests for information and submittals are minimized which in turn saves construction administration time. Ultimately, this process can lead to faster project completion, which is a win for taxpayers, students, and the entire design-build team. Design-build is the nation’s fastest-growing, most efficient and most popular project delivery method. With design-build projects accounting for nearly half of all construction spending by 2021, it’s clearly not “alternative” anymore. DBIA has all the resources design-builders need, no matter your level of experience. Even if you didn’t attend a DBIA conference in 2018 you can still get access the design-build tools that teams need and then we hope you’ll plan to join us at our sector-specific conferences for Transportation/Aviation and Water/Wastewater in April. Visit dbia.org to get started!